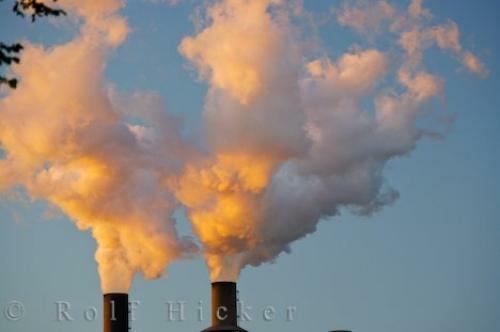 The leading industrial province in Canada, Ontario, is often the focus of groups concerned with global warming by contributing to air pollution. Accounting for over 50% of the Canada's manufacturing, the landscape in Ontario is dotted with factories. With the world focus being on global warming and reducing air and water pollution, Ontario and Canada often finds itself in the spotlight. Industrial Pollution in the city of Sault Ste Marie, between Lake Superior and Lake Huron, Great Lakes, Ontario, Canada. to global warming and air pollution.